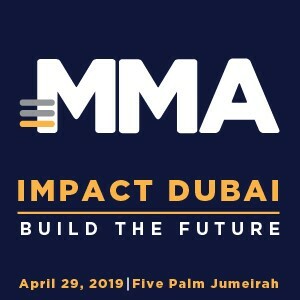 Global Web Index took a look at how brands utilizing voice technology need to focus on maximizing the usefulness of their services rather than just moving with the novelty of this innovation. 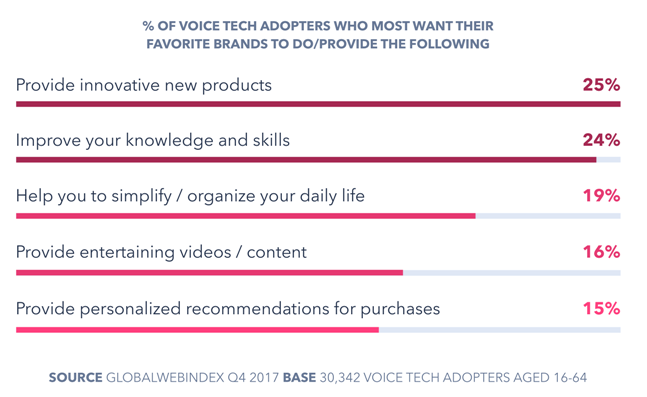 By asking those who currently use a voice-controlled smart speaker at home or used a voice search tool last month to choose what they most want their favorite brands to do or provide, GWI gained some insight into what consumers from this segment are looking for from brands. Alongside innovation, it’s around one in five who say they most want brands to be able to improve their knowledge or help organize their daily lives. By leveraging the functionality of voice assistant devices, brands can effectively fulfill these needs. Allergy brand Zyrtec did this well with its AllergyCast skill on Alexa, informing hay fever sufferers of the weather conditions before leaving the house.